The Toronto Comic Arts Festival has announced that its pop-up festival shop will remain in the Toronto Reference Library for the foreseeable future. 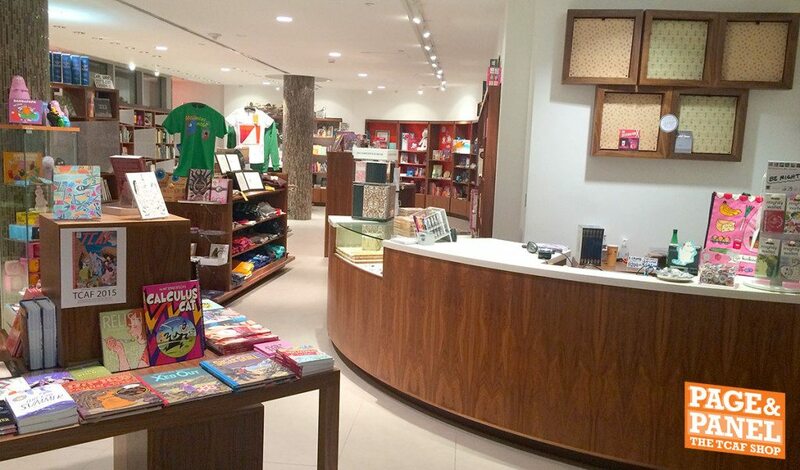 Rebranded as Page & Panel: The TCAF Shop, the store offers a curated selection of comic books, graphic novels, and book-related merchandise, and will serve as a venue for author signings and events. Store manager and TCAF managing director Miles Baker says on the festival’s website that the change is thanks to a “tremendous outpouring of support” from customers since the store opened in December. Tonight’s launch for Toronto comic anthology Monstrosity II will be the inaugural Page & Panel event. Future events include a visit from Wildwood Chronicles illustrator Carson Ellis on March 30, an appearance by Wayward author Jim Zub on April 1, and a launch for Canadian comics collection Brok Windsor: 1944—1946, date TBA.